For 2012, Nikon has introduced their new Flagship dSLR; the D4. This camera just oozes with professional class features that multimedia photogs need and demand. Nikon claims that this camera has been "designed to emphasize rapid response and seamless operation to help professional photographers consistently capture incredible content. ", and from looking over the specifications, we can see how they can make such claims. The D4 boasts a full-frame, FX-format, 16-megapixel CMOS image sensor, which is mated to their EXPEED 3 processing system. To help aid in fast autofocus, Nikon has included an upgraded version of their already proven 51-point phase detection AF system in the D4, which they claim offers unparalleled speed and accuracy; even when taking advantage of the D4's 10fps burst mode capabilities (at full resolution with AF / AE, or 11fps with AF / AE locked). The Multi-Cam 3500 AF system is also fully customisable, giving Pros the opportunity to set up the D4 specifically for their needs. Other impressive features include a 91,000 pixel 3D Matrix Metering III sensor, ISO sensitivity from ISO 50 - 204,800 (with expansion enabled), Full HD video at 1080p (60p, 30p or 24p), in-camera HDR, Active D-Lighting, Dual CF card slots (compatible with new XQD cards), direct streaming of uncompressed full HD signal directly out of the camera using HDMI output, a 3.2-inch LCD with 921k dots, Advanced SRS (Face Detection and Scene Analysis), a tough body and chassis (resists moisture, dust, and even electromagnetic interference), and much much more. 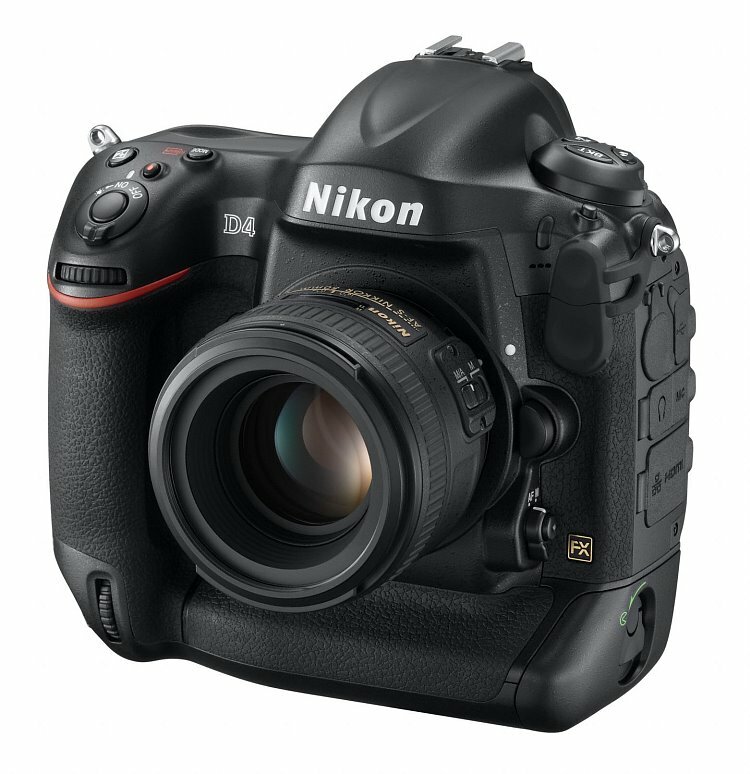 The Nikon D4 body will become available sometime in late February (2012) with a MSRP of $5,999.95 USD.